For the event, India’s Greatest Brands & Leaders Awards at Taj Lands’ End in the city, Karisma Kapoor made an appearance. 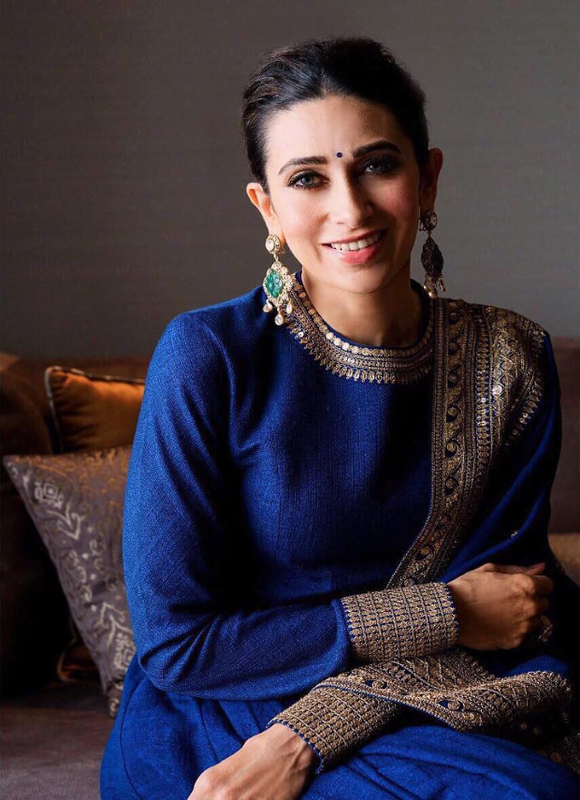 Styled by Eshaa Amiin, Karisma Kapoor decked up in Sabyasachi Couture, looking resplendent in blue. The stunning creation featured a long kurta with embellished hemline and a matching dupatta. She accessorised well with statement-making earrings from Sabyasachi. A pair of golden juttis, an elegant low hairdo, a bindi, intense eyes and pink lips rounded out the regal affair for Karisma Kapoor. On the professional front, Karisma Kapoor will be seen in the we-series to be helmed by Ekta Kapoor.